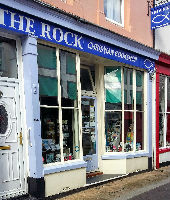 Two members of our church run the Christian Bookshop in Teignmouth called The Rock. Andy, a member of NTCC works with Exeter Street Pastors. Here he tells us something of what is involved. "Exeter Street Pastors have been in Exeter since 2009 on Friday and Saturday nights. Since 2012 once a month I've been deployed on the streets of Exeter on a Saturday night between the hours of 10 pm until half-past three to four o'clock in the morning. We're there to listen, care and help - with water, flip flops , first aid, lollipops and prayer ( if wanted) . If the opportunity comes up and I'm asked about my faith then seeds are sown. I've found the most interesting conversations have been when I've been approached and asked about what we do, what we believe and why? We meet all sorts of people , some homeless , some celebrating , some drunk .some lonely, with all kinds of views on Christians and God - both positive and negative . The chance to build bridges and sow seeds with sections of the community who have no connection with any form of church is my driving force to being a Street Pastor." 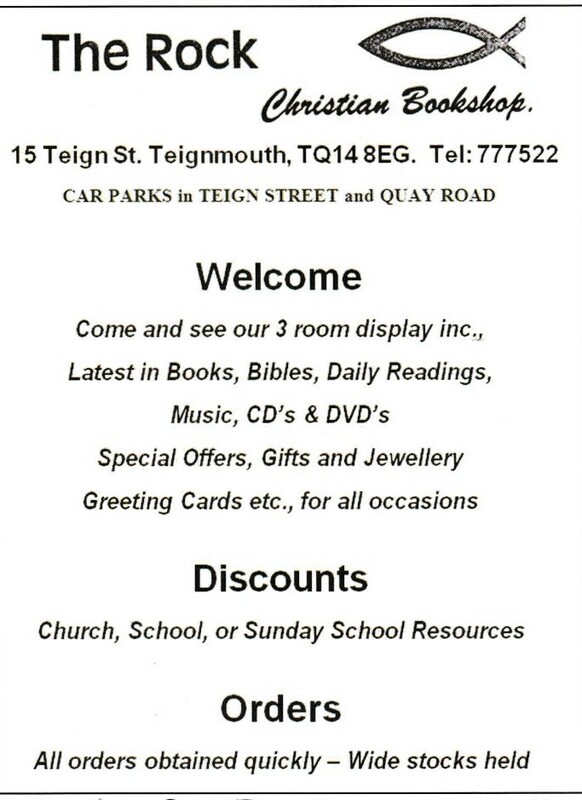 Anita who is a member of our church also works for part of her year in helping to raise funds for El Shaddai. Anita spends part of the year in the UK fundraising for El Shaddai Street Child Rescue, the Charity she founded in 1997 with Pastor Matthew Kurian. "In 1996 I went to Goa with my daughter to recharge my batteries from driving Aid Trucks to Romania, Albania and Bosnia for 10 years . I saw children who had been abandoned eating out of the Hotel dustbins and begging on the streets. While praying one morning God gave me a vision to open Homes for these children. At a local Church I shared my vision and Pastor Matthew shared he had had a vision two years before that God was sending someone from the UK to help him open Homes for Street Children. It costs us £1 a day to have a child in one of our Homes from coming off the streets to the end of university. Our own school, Shanti Niketan, follows an English Christian syllabus. A big Thank You to all who sponsor and support us.